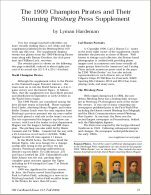 The cover and the table of contents for Issue #17 are shown below. 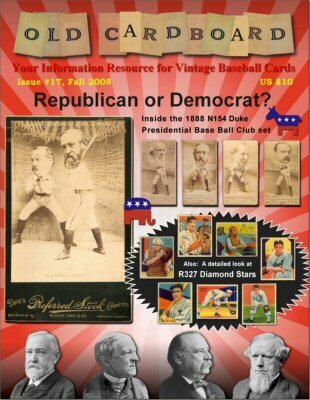 1) "1888 N154 Duke "Presidential B. B. Club." 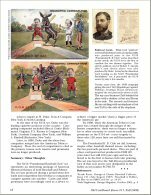 authored by longtime collector Glenn Mechanick, provides a detailed look at this unique series issued by Duke Tobacco. 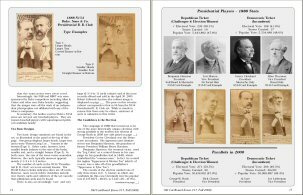 The set is keyed to the presidential election of 1888 and provides a glimpse into presidential politics of 120 years ago. 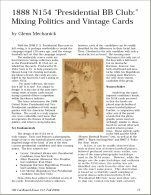 Includes an updated and annotated checklist of all known cards in the set as well as a comparison of the four "players" featured on the cards. 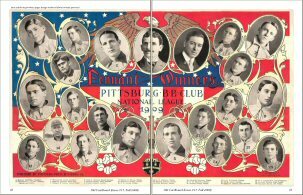 2) "The 1909 Champion Pirates and Their Stunning Pittsburg Press Supplement" by Old Cardboard Staff. 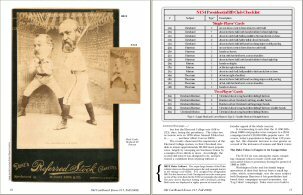 A supplement to one of Pittsburg's leading newspapers of the early 20th century is reproduced in its original red, white and blue brilliance across the magazine centerfold. 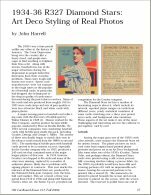 Article includes brief background of the 1909 World Champions, the newspaper and of Carl Horner--the photographer of the portraits featured on the supplement. 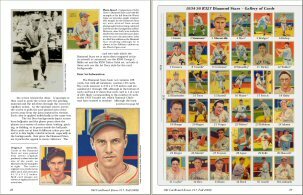 3) "1934-36 R327 Diamond Stars: Art Deco Styling of Real Photos" by John Harrell. 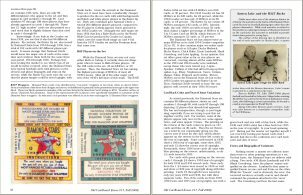 Provides information about the R327 Diamond Stars issue of 1934-36 at a level of detail never before published. 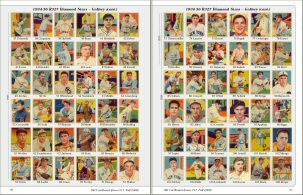 Includes a full Gallery of the base set as well as a discussion of the 170-card master set. 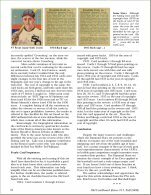 Article describes card variations, wrappers, a backgrounder on Austen Lake (author of the Playing Tips printed on the card backs) and more. 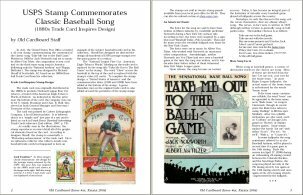 4) "USPS Stamp Commemorates Classin Baseball Song (1880s Trade Card Inspires Design)" by Old Cardboard Staff. 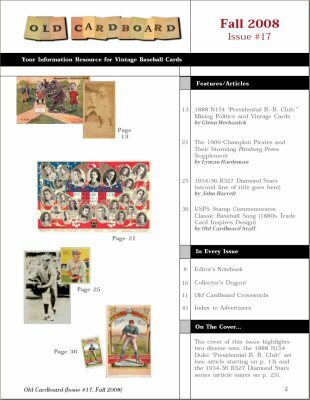 A two-page overview of the recently released USPS postage stamp used to commemorate the centennial of Jack Norworth's classic song "Take Me Out to the Ball Game." The stamp is compared with a full size example of the nineteenth-century trade card from which it was designed.